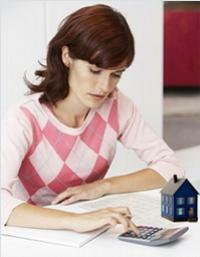 Mortgage calculators are excellent tools for the borrowers. This is basic mortgage calculator which is also known as âDebt to Income Ratioâ calculator. This calculator will help the borrower to determine whether or not he/she will be eligible for a mortgage. In order to know the results from this calculator, the borrower will have to provide his/her annual income and monthly debt payments. As a borrower, you may know your income. But it is not similar to the income required to qualify and afford a mortgage. In order to know this, the borrower will have to go for the mortgage affordability calculator. To find out the results, he/she will need to provide details like desired loan amount, term period, interest rate, property taxes and total payments for other debts. If a person has extra money, he/she can make extra payments toward his/her mortgage in order to pay off the mortgage faster. However, it is important to find out whether on not it will be a good financial decision. The extra payments calculator will come to the borrower's help in such a situation. You will have to enter the remaining loan term, the interest rate and the mortgage amount in order to know the results. It will also help the person to determine the number of years that he or she will be able to shave off from his/her loan term. When a person applies for a mortgage, he/she will need to pay a down payment. The borrower can use a mortgage down payment calculator in order to find out how much he/she will need to save for a down payment. In order to know the results, the borrower needs to provide certain information like home sale price, additional expenses, loan term, required down payment percentage, etc. Apart from the information on down payment, the borrower will be able to get various other details like discount points, closing costs, etc. Page loaded in 0.628 seconds.